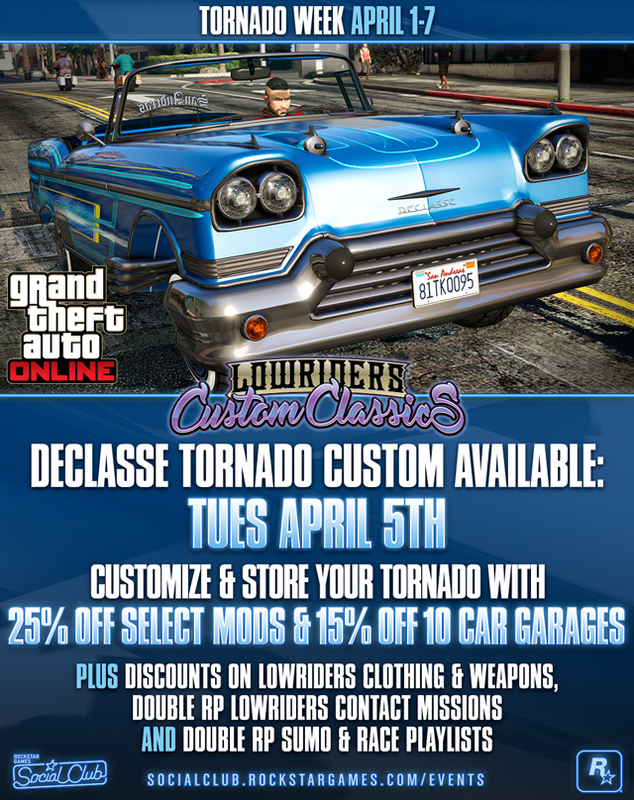 Benny's Original Motor Works' spring inventory adds a bona fide classic next week - the Declasse Tornado Custom, coming this Tuesday April 5th. Unlock the full potential of this beauty with a glorious range of upgrades at Benny's, including expressive and eclectic Livery choices, an abundance of roof design options and many more. For those who love the new SUMO mode recently released with Lowriders Custom Classics, Rockstar has got two treacherous new maps that have just been added today. Watch out for the cracks as you smash, bash and barge in high atop the SS Bulker at the docks in Sumo V and take to the roof of Sightings Bar & Restaurant at the airport for the ultimate dance of destruction in Sumo VI. Celebrate today's arrival of the new Sumo maps and the upcoming release of the Tornado Custom with Tornado Week today through Thursday April 7th. Log into GTA Online all week long for special Double RP opportunities in curated Playlists as well as in all Sumo Adversary Modes plus Contact Missions from GTA Online: Lowriders, great deals on custom body mods and 10-car garage properties and lots of discounted items from the first Lowriders update. No April fooling here - take advantage starting today! • 25% off select modifications at Benny's Original Motor Works and all Los Santos Customs. With the impending release of the new Tornado Custom come Tuesday, these discounts will be particularly handy. Mod out and take the streets by storm with your upgraded ride (although note that base modifications for already upgraded Lowriders are not discounted). When you're done cruising and you're looking for a place to store your prized new Tornado, pay a visit to the Dynasty 8 website at some point this week and enjoy 15% off all 10-car garage properties. It's a great time to buy! 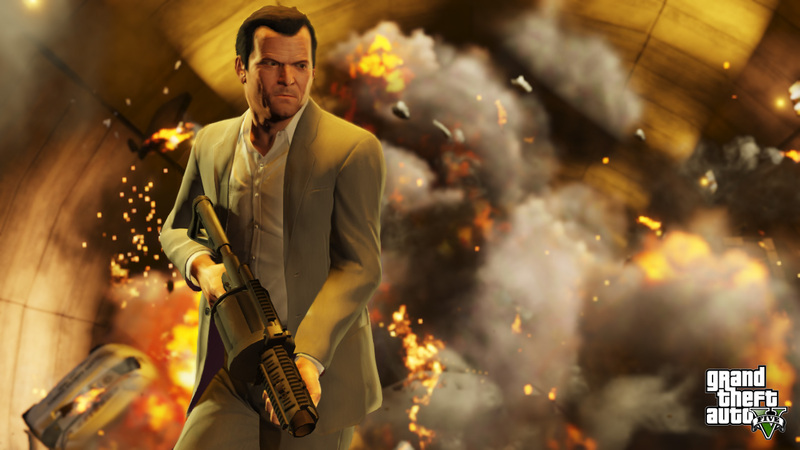 •30% off your purchase of the Machete, the Machine Pistol and any item of Lowriders clothing.